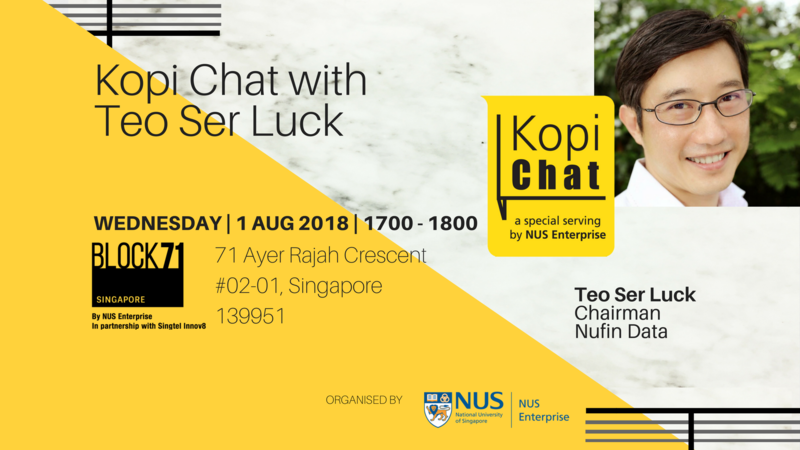 Entrepreneur, investor and member of parliament, Teo Ser Luck has started some companies and in the process of building a few start-ups. He is also chairman, lead director and adviser to some listed companies in Singapore and overseas. He is an adviser to the Institute of Chartered Accountants of Singapore and Singapore Fintech Association. He is an elected member of parliament since May 2006 and was appointed as parliamentary secretary in the Ministry of Community Development, Youth and Sports. He was promoted and appointed as the mayor of the North East District and became Chairman of Mayors Committee. He was promoted to Minister of State for Trade and Industry covering international trade relations with China and overseeing SME development and entrepreneurship. He was appointed as the Minister of State for Manpower overseeing enterprise and industry development and productivity, lean enterprise development implementation in businesses, foreign workers, rank and file workers and progressive workplaces. Prior to entering politics in 2006, he spent 15 years in the private sector starting out as an auditor and in the senior management level with companies such as Nike, Menlo and as the country head of DHL Singapore. For his achievements, he was recognised as a young global leader by the World Economic Forum for his contribution to the business and community services sectors. In his spare time, he participates in Ironman triathlon and has completed 5 Ironman races.